Finding a quality tenant is just a small part of what makes a successful tenancy. At Oakhill Estate Agents we understand the importance of providing a vigilant and proactive service that ensures that landlords maximise the return on their investment and that our tenants are treated courteously and professionally. At Oakhill Estate Agents, whilst we do offer a service where we set up tenancies on a "tenant find" basis and hand the management of the tenancy over to the landlord on completion, we also provide cost effective solutions in respect of rent collection and management. We will ensure that all legislative requirements such as the production of Energy Performance Certificates, inventories, gas and electrical safety checks etc. are complied with. We can also arrange for properties to be professionally cleaned and furnishings to be installed, where required. 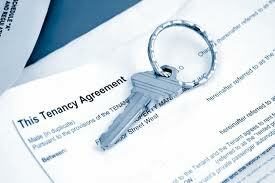 Tenants deposits are protected in a Government approved scheme. More and more tenants are now specifically seeking managed properties to rent as they appreciate the value of, and access to, a professional service. As a landlord, offering your property on a fully managed basis will ensure that you have the widest choice of potential tenants.